We aim to expand the regionally diverse culture of sake by joining youthful vigor with traditional sake brewing. 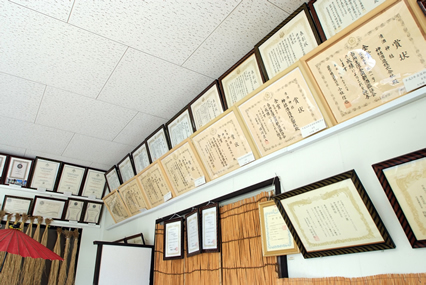 We work to brew sake with the philosophy of, "Good sake comes from good rice." 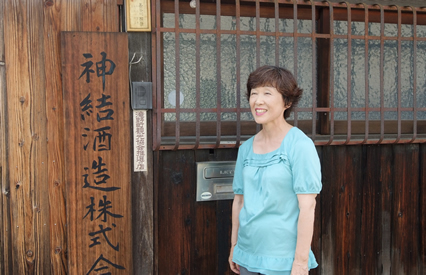 Managing Director Taeko Hasegawa tells stories of brewing sake with a smile. Behind our brewery, there are two evergreen oak trees, but they have become intertwined, and appear as one. 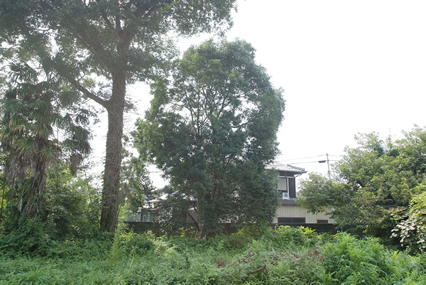 Our founders reasoned that the gods themselves had bound them together, and so our brewery was named, "Kamimusubi," after those trees. We believe this to be a lucky name that lends itself well to sake. Kato City is the origin of Yamada Nishiki, a type of brewer's rice. It is famous throughout Japan as a place to harvest this high-quality rice. We have continued to brew sake made from quality ingredients, using superior local brewer's rice along with abundant underground stream water from Mt. Gobu. We have a history of winning many awards. 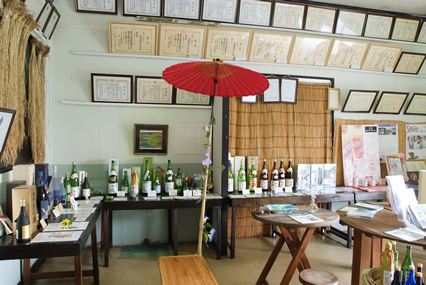 the passion for brewing sake. We have won the gold prize from the National Bureau's Research Institute of Brewing 8 times between 1997 and last year, 2012. This was not through our power alone. There was a time in our past when--submit our products as me might--we did not win any prizes. We set out to revise our information, and we were determined to brew a new type of sake, unlike anything we had made before. At that time, the chief brewers who would visit every year had retired, and it was 1994 when we had new chief brewers come from the Nanbu Toji brewer group. There were people who empathized with our dream. A few years after that, my eldest son who had graduated from university joined us, along with other youthful employees, and our entire organization had been renewed. Two years ago, we switched to an in-house chief-brewer system. During production, our brewers face sake brewing head-on with everything they have--physically and mentally--though their combined spirit. I am eager to see how far we can support them. I believe we were able to win those prizes because of the sake produced by this relationship of mutual trust. Now, with our eyes forward, we will strive for our 9th gold prize. We also have an impressive product lineup. also serves as a decoration. We have the techniques to steam rice, and to create malted rice. We would like to make the best of what can using these techniques. Lately our product, "Koji Sweets Poudre," has become a topic of conversation, and you have also chosen our, "Kobe Selection," and our, "Five-Star Hyogo Selection Product Catalog." We suggest you enjoy this sweet sake as you would a dessert; it is also quite popular among women. Along with our gold prize-winning sakes, we also have an array of seasonal sakes available. We invite you to try them at your leisure. We also actively participate in the local community. name can be found behind the brewery. The amount of sake consumed has decreased overall. As Kato City is a producer of brewer's rice, we would like to send out information so that people in our area can become even more familiar with sake. With the support of Kato City and the, "Warm Kato City Winter Festival," that is held every February, we open our facility to the public and offer a free sampling event. Even in the cold weather, we are always encouraged to see many people come to sample our new products. In the spirit of continuing to produce the sake that is the pride of the local residents, we would like to send you sake from Kamimusubi.